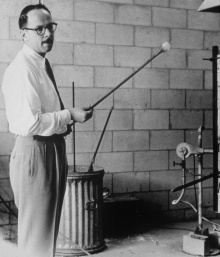 I wouldn’t be sitting here writing for all of you out there about glass if it wasn’t for Harvey Littleton, the founder of the Studio Glass Movement. He has passed away at the age of 91. He started the “movement” in 1962 at the Toledo Museum of Art with glass blowing. I know I’m grateful. Harvey and Dominck Labino, a glass research scientist wanted to show how glass could be used for contemporary art. Through their creation of small scale studios they were able to make making glass art more accessible. The next step was getting it into universities. Check out Corning’s web site for more information on all that Harvey did for glass.